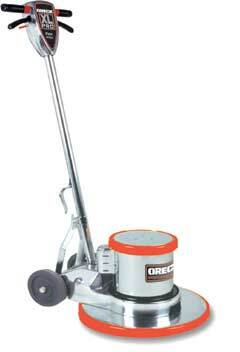 Extended FMH Floor Machine Series 17" Extended FMH Floor Machine Series 17"
Heavy Duty Oreck Professional Grade 175 RPM Floor Buffers offer years of outstanding performance! • First choice for spray buffing, scrubbing, stripping, shampooing, bonnet cleaning. • Fully adjustable handle position - comfortable for all operators. • Precision balanced, heavy-duty, 66-frame motor for easier operation. • 1.5 HP - AC 2 capacitor. • Triple-planetary high torque transmission handles the most demanding applications. • All metal chassis - added weight for fastest results. • Non-marking super thick bumpers protects walls and baseboards. 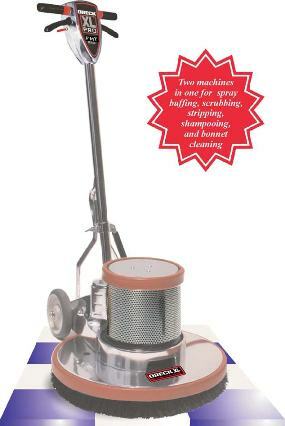 SANITAIRE� FLOOR MACHINE WITH 50' POWER CORD, SINGLE SPEED, 1.5 HP COMMERCIAL MOTOR, 20" SANITAIRE� FLOOR MACHINE WITH 50' POWER CORD, SINGLE SPEED, 1.5 HP COMMERCIAL MOTOR, 20"
Sanitaire Single Speed Floor Machine, 1.5HP Commercial Motor, 175 rpm's with 50' power cord, only 60dB. FMU 1500 Floor Machine Series 19" FMU 1500 Floor Machine Series 19"
19" High Speed Burnisher, 1500 RPM, 1.5 HP, 50 ft.
• 1.5 HP, DC rectified motor eliminates brown outs, low voltage, and start up torque problems. • A free floating adjustable handle makes operating the high speed buffer easy and comfortable. • The low profile drive apron makes reaching under counters, tables, and beds hassle free. • Safety enhanced non-conductive dual triggers eliminate shock potential. • Non-marking full wrap bumpers protect walls and baseboards from scuffs and scratches. • All metal and polished aluminum chassis adds weight for a faster and higher gloss shine. • Warranty: 5 years on the motor. Extended FMH Floor Machine Series 19" Extended FMH Floor Machine Series 19"
• 19 inch size, 107 lbs. • Order pad driver 1" smaller than machine size and brush 2" smaller than machine size. Both use a (B" style / 4192 style clutch plates for easy and secure mounting. 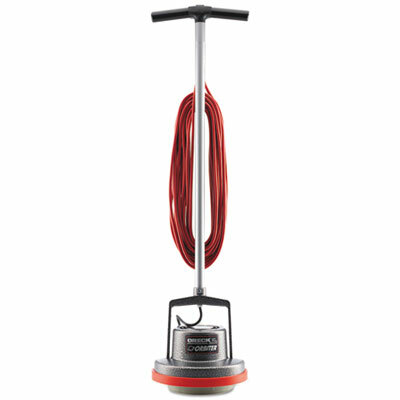 • Power Cord: 50 foot (15M) safety red 14/3 Ga.
Extended FMH Floor Machine Series 15" Extended FMH Floor Machine Series 15"
• Precision balanced, heavy-duty, 66-frame motor for easier operation.1.5 HP - AC 2 capacitor. 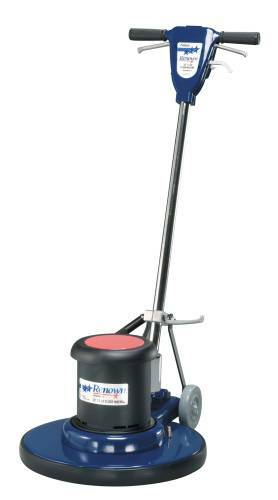 RENOWN� LOW-SPEED FLOOR MACHINE, 20 IN. 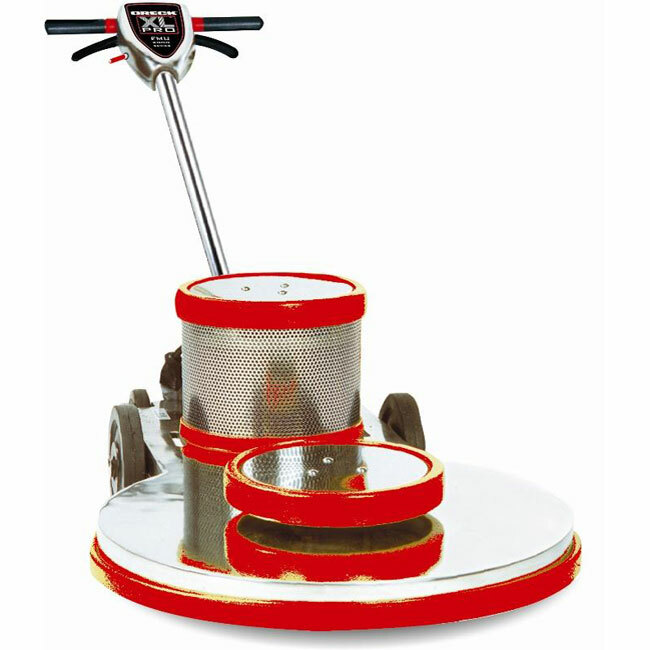 RENOWN� LOW-SPEED FLOOR MACHINE, 20 IN. 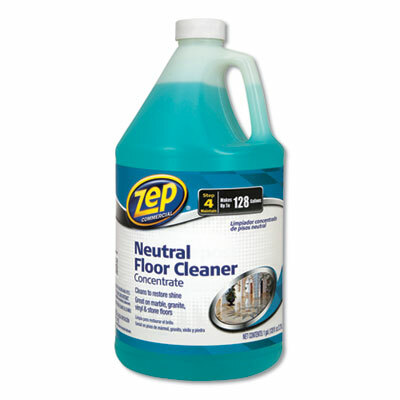 This product is a high-performance, neutral pH cleaner for floor care applications. This exclusive product is formulated with alternative ingredients that result in a more positive environmental and human health profile. The advanced surfactant technology is excellent for breaking up and dispersing stubborn grease, dirt, and oil deposits from flooring surfaces, either by hand or through automatic scrubbing machines. Cleans coated floors, leaving a bright shine. 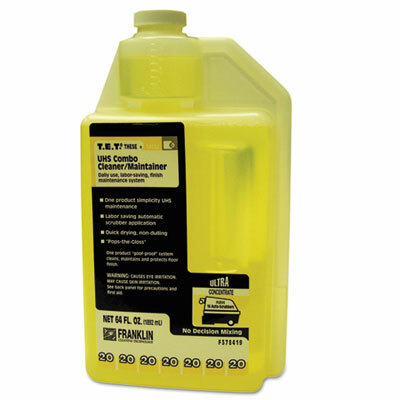 Recommended dilution: Normal (1:64); Floor Scrubber (1:64 to 1:32). The pleasant lemon scent make it easy to work with and around. Best for conventionally maintained or UHS burnished floors. Application: Floor Cleaner/Degreaser; Applicable Material: Tile; Stone; Masonry; Sealed Wood; Dirt Types: Dirt; Grease; Oil Deposits; Scent: Lemon. Deodorizes, cleans and restores shine. Great on marble, granite, vinyl (VCT) and stone floors. Neutral pH will not harm floor finishes. Low foam and suitable for automatic floor scrubbers. Makes up to 128 gallons. Application: Interior Floors; Exterior Composite Decking; Applicable Material: Interior Vinyl Floors; Asphalt Tile; Rubber; Sealed Concrete; Marble; Granite; Natural Stone; Trex Exterior Composite Decking; Chemical Compound: Dipropylene Glycol N-Propyl Ether; 2-propanol; 1-(1-methyl-2-propoxyethoxy); Alkyl(c9-11) Alcohol; Ethoxylated; Dirt Types: Dander; Debris; Dust; Pollen; Soil. Deodorizes, cleans and restores shine. Great on marble, granite, vinyl (VCT) and stone floors. Neutral pH will not harm floor finishes. Low foam and suitable for automatic floor scrubbers. Makes up to 128 gallons. Application: Floor Cleaner; Applicable Material: Floors; Chemical Compound: Alcohols; C10-14; Ethoxylated 1-(1-Methyl-2-Propoxyethoxy)Propan-2-Ol; Dirt Types: Dirt; Grime. 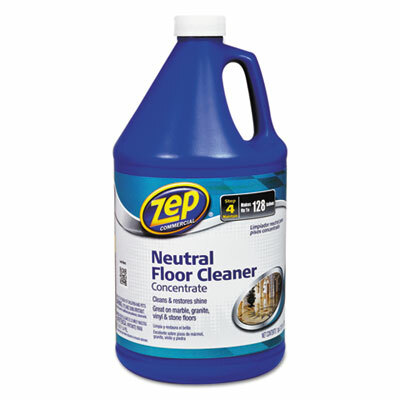 A rinse-free, neutral damp mop concentrate that saves time and labor costs in daily floor maintenance. 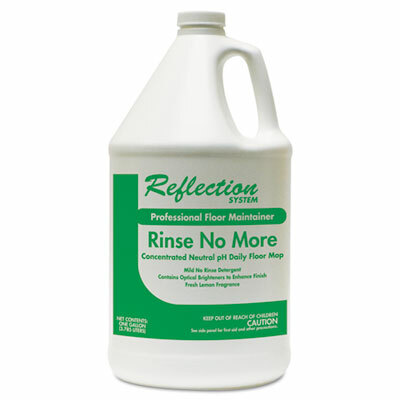 This product maintains a high-gloss acrylic floor finish while removing soils without leaving a dull film. Recommended dilution: preset (1:256). Product does not include hose kit 710050KT. Application: Floors; Applicable Material: Acrylic; Tile; Dirt Types: Dirt; Grime; Scent: Tangy Fruit. 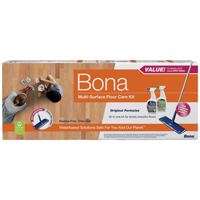 Uses the natural cleaning power of plant-derived ingredients to clean finished hardwood floors without streaking or dulling. Neutral pH, quick-drying formula. Contains no VOCs or solvents. 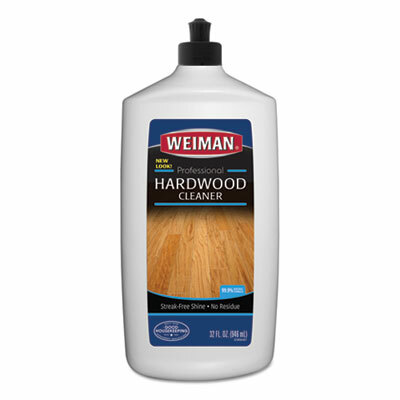 Application: Floors; Applicable Material: Finished Hardwood; Dirt Types: Dirt; Grime; Scent: Unscented. Convenient one-product system cleans and revitalizes flooring, while preserving gloss and reducing powdering during buffing. Bright-clean formula helps extend the life of finish without leaving sticky residues. Easy, portion-controlled dilution rationing helps save money, time and labor while ensuring consistent, no-waste results. For use on all finished floors. Application: Floor Cleaner/Degreaser; Applicable Material: Vinyl Composition Tile (VCT); Solid Vinyl Tile (SVT); Linoleum; Sheet Vinyl; Laminates; Glass; Sealed Cement/Concrete; Ceramic Tile; Terra Cotta; Terrazzo; Quarry Tile; Dirt Types: Dust; Food Residue; Grease; Grime; Scuff Marks; Soil; Spills; Scent: Citrus. The Orbiter makes it simple to scrub and polish all floor surfaces as well as deep clean institutional-grade carpets. Ideal for use in tight spaces. Brush head rotates in a random orbit, with no torque or gouging. Easy to use, with convenient fingertip control. Buffs and polishes hard wood floors. Scrubs and cleans carpeting, ceramic tile, grout, concrete, and works to remove oil stains. Revitalizes vinyl, brick, slate, and stone floors. 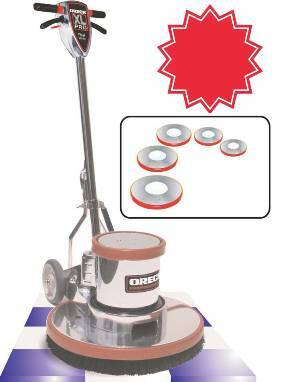 Floor Machines Type: Scrubber; Polisher; Handle Type: T-Grip; Brush Diameter: 12"; Power Capacity: 0.5 hp. 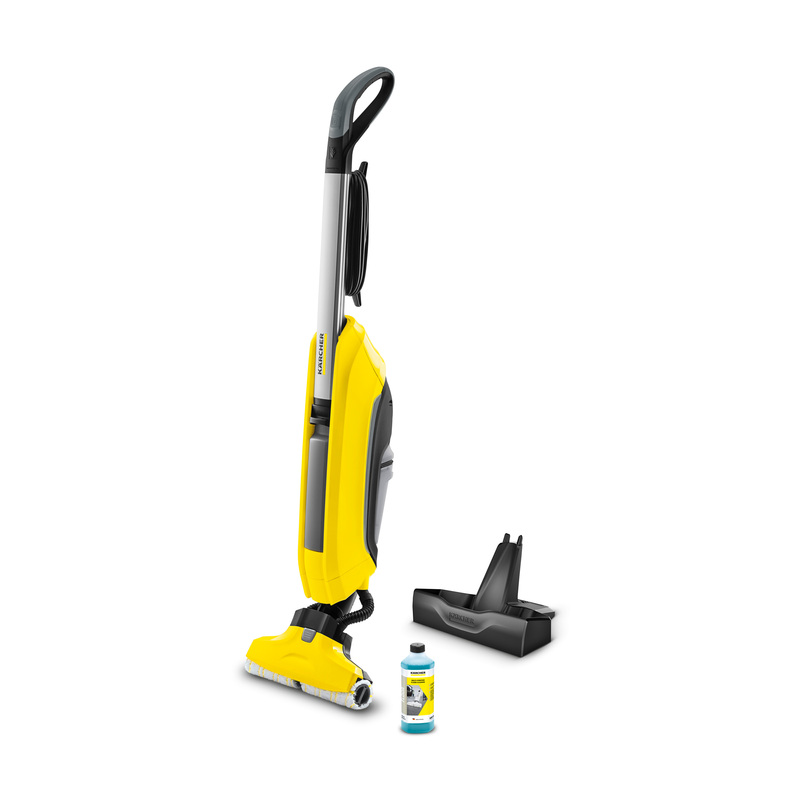 FC5 Hard Floor Cleaner cleans floors in a single step. 3 year limitied warranty. Rapid Replaceent Program. Mop and vacuum light debris. This item cannot be shipped to APO/FPO addresses. Please accept our apologies. 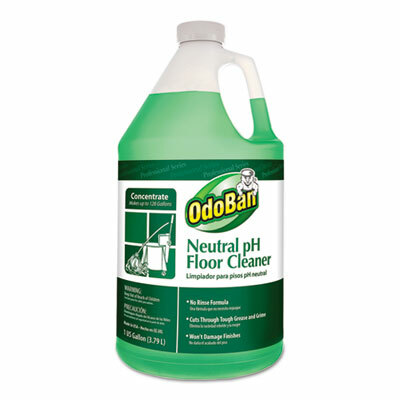 OdoBan Earth Choice neutral pH floor cleaner is a concentrated no rinse floor cleaner formulated with a surfactant system derived from corn sugar and coconut oil. It removes dirt and soils from all hard flooring surfaces, leaving surfaces shining and streak-free. 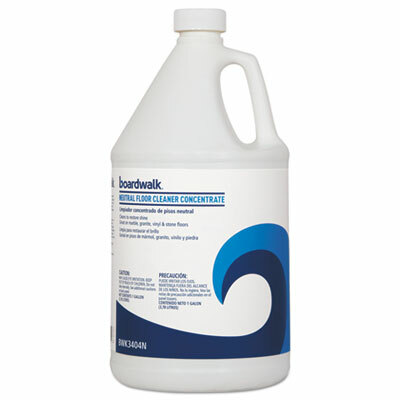 This neutral pH cleaner won't harm finishes. It is intended for use on hard floor surfaces such as vinyl, tile, sealed concrete and sealed wood floors. Application: Floor Cleaner; Applicable Material: Laminate; Stone; Tile; Chemical Compound: Decyl Glucoside; Dirt Types: Dirt; Food; Grease. 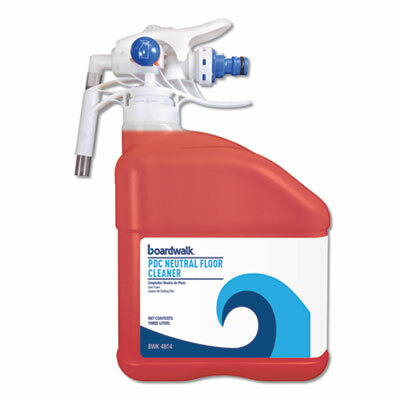 Neutral-pH, all-purpose solution cleans and brightens all finished floor surfaces. Special optical brightening agents provide a sparkling, profession-quality shine. Mild, neutral, no-rinse formula. Application: Floor Cleaner/Degreaser; Applicable Material: Vinyl Composition Tile (VCT); Solid Vinyl Tile (SVT); Linoleum; Sheet Vinyl; Laminates; Glass; Sealed Cement/Concrete; Ceramic Tile; Terra Cotta; Terrazzo; Quarry Tile; Dirt Types: Dust; Food Residue; Grease; Grime; Scuff Marks; Soil; Spills; Scent: Lemon. Extended FMH Floor Machine Series 21" Extended FMH Floor Machine Series 21"
• 21 inch size, 108 lbs. • Fully adjustable handle positions are comfortable for all operators plug in at handle base for easy service. • Dual speed model has motor mounted switch. • Apron mounts with 3 thumb screws. Change apron and matching size brush in a minute. • Motors plug in at handle base for easy service. • Order a pad driver 1" smaller than apronsize or a brush 2" smaller than apronsize. Both use a (B" style / 4192 styleclutch plates for easy andsecure mounting. • Interchangeable :13", 15", 17", 19", 21"
• Power Cord: 50 foot safety red 14/3 Ga.